Sir Arthur Conan Doyle: the name usually calls to mind 221B Baker Street and it’s resident, arguably one of the most famous characters to ever grace the hallowed pages of classic literature. 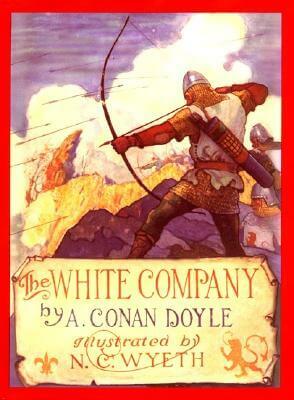 Yet despite the popularity of the Sherlock Holmes stories, Doyle’s favorite among all his creations was a book of quite a different nature – an epic historical narrative of the Hundred Years’ War entitled The White Company. The year is 1366, and England is at war with Spain. At age twenty, Alleyne Edricson leaves the abbey where he has been raised and sets out on his own, in accordance with the terms of his father’s will. 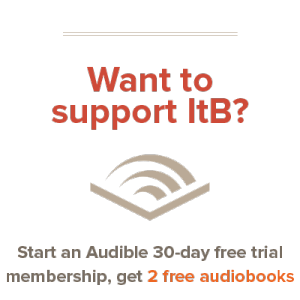 In due time, he falls in with rough but likeable Samkin Aylward, lately returned from France to recruit for the White Company, a motley band of mercenary archers. Alleyne also makes the acquaintance of Sir Nigel Loring of Christchurch, and becomes his squire. Loring soon after accepts leadership of the White Company, and departs with his followers for France to aid Edward, the Black Prince. Needless to say, adventures abound throughout the remainder of the book. There are skirmishes with pirates, a bloody siege, jousting tournaments, and countless acts of courage, honor, and fortitude, as well as a brilliantly rendered account of the Battle of Najera. I have a great degree of respect for the genre of historical fiction in general; but every now and then, I encounter a book like The White Company, which not only earns my respect, but leaves me completely awestruck. Doyle managed to combine meticulously researched history with a marvelously entertaining tale of chivalry in a way that perfectly balances both aspects. The book never reads like a history textbook, and yet it never reads like a fable, either. The blend is perfect. As far as objectionable content is concerned, there’s very little to worry about, and I think this book is an excellent choice for most readers aged 13 and up (especially boys). However, let the sensitive beware: battle violence and carnage abound, complete with beheadings, lynchings, thoat-slittings, impalings, stabbings, and the like. It’s certainly realistic, and never goes over-the-top, but some may have more trouble stomaching it than others. In conclusion, The White Company, though relatively unheard of today, is one of the best, most vibrant historical novels I have read – and I’ve read quite a few. With assiduous attention to detail and a robust style, Doyle paints a fantastic picture of the 14th century, occasionally adding a flourish of humor along the way. So go pick up a copy at the library (if you can find it). Better yet, just buy it. You won’t be disappointed. Great review! It sounds like a very worthwhile book to read. Thanks for the recommendation.